Do you think it's decent enough for an eye-catching picture? If you say yes, thank you very much. However, Tanya Zouev (professional photographer) and Janet Mitchell (professional food stylist) produce much much much better pictures with their magical touches. 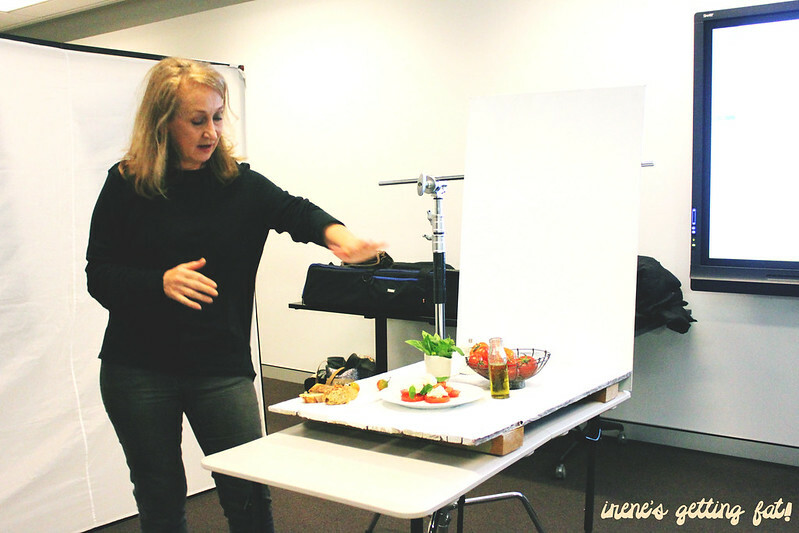 I'm honored to be invited to 'World on a Plate' food photography and styling masterclass by Bankstown Council, as a part of their photography competition. 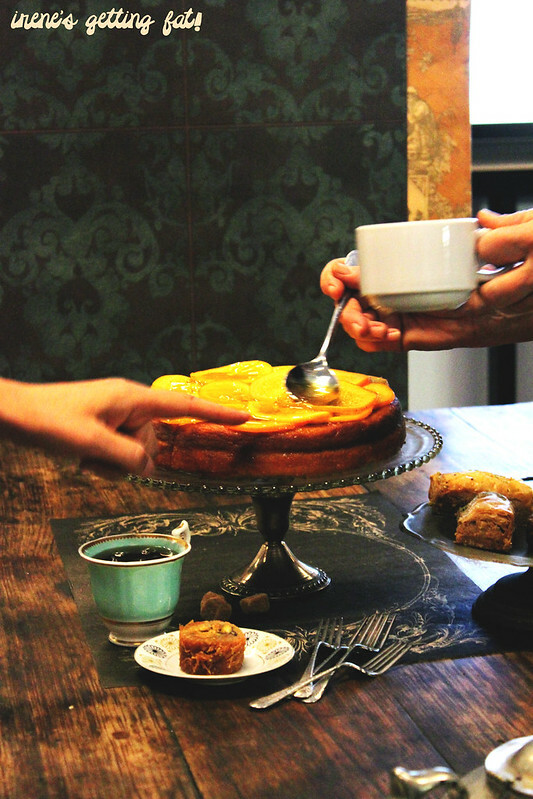 World on a Plate photography competition is on until 31st of May, and it is conducted to introduce the diversity of culture and food in Bankstown. 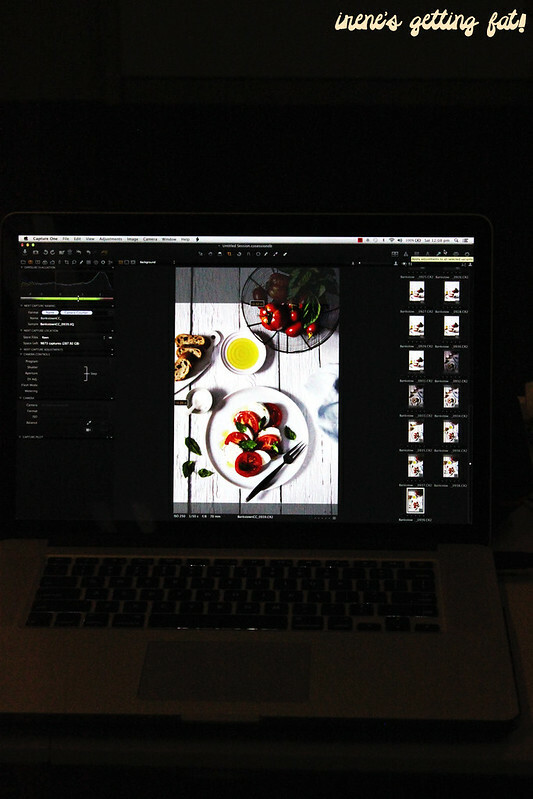 To participate, you just have to submit pictures of your favourite food, regardless the settings. Be it on the dinner table, picnic, restaurant dining; basically anywhere you can think of. In a nutshell, the masterclass was exciting and full of take-away messages. Although my photography won't suddenly change or improve like Tanya's, it's always nice to get some knowledge and tricks to make them better. 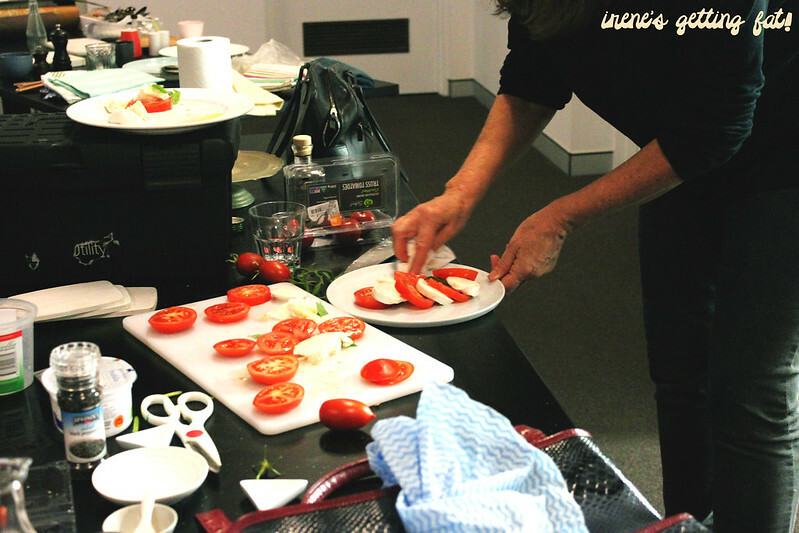 Conducted in Bankstown library's conference room, our class was started with bright and summer-y caprese salad. Lightning, soft boxes, props, wallpaper, and a camera planted strongly on a tripod were ready to create the perfect shots. Done with the first setting, the whole plank and everything on top were put on the floor. Because the first plating was captured better in an eye-level style, Janet went on and did her magic with plating adjustment. 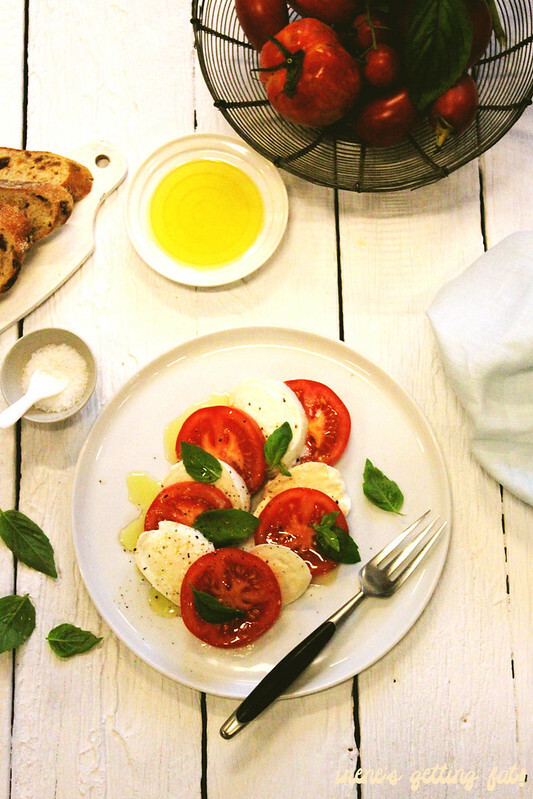 This time, the tomatoes and bocconcini were sliced and arranged to overlap alternatively. 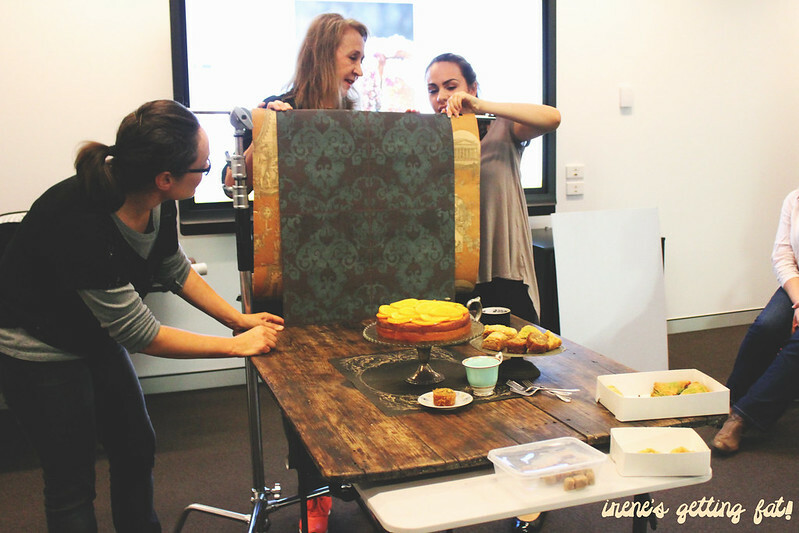 We then moved on to the moody and rustic set of Middle Eastern dessert. 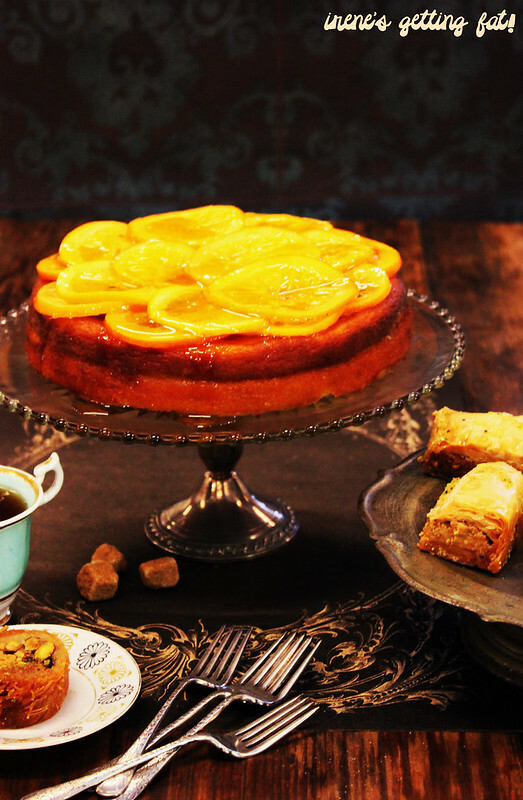 Syrupy orange cake was the main actress while some baklava were hired to be the supporting cameos. Backgrounds and props were fiddled around, and finally an elegant blue wallpaper was chosen while the silver tea pot was removed from the set. Glazing the cake was even more tricky than I thought. 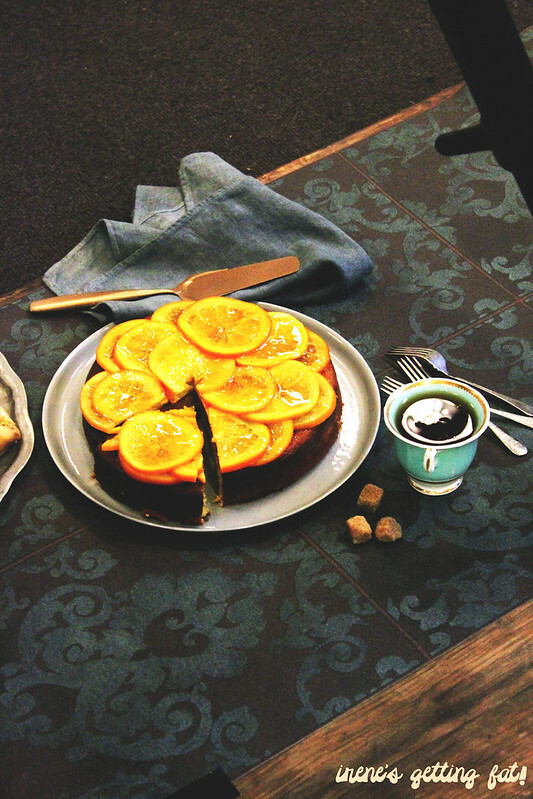 Tanya revealed that she preferred the glaze to be on the side of the cake rather than in the center. She is the master of paying attention to details, really. To make it more exciting and natural, a slice of cake was cut. Do you see a pacman? How awesome are these final pics? When we thought it's perfect, Tanya and Janet could almost always point an error or a room of improvement. 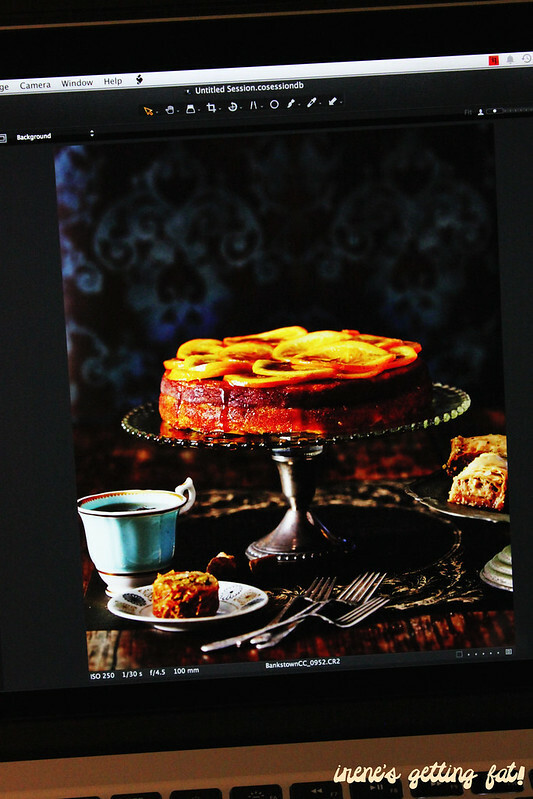 The combination of impressive food styling with top-notch photography skills produced undeniably splendid, drool-worthy photos. There were heaps of information, cheats and tricks spread over that day, and I carelessly didn't even take notes. Thankfully, I am not too bad in remembering things. Pay attention to details. The smallest, micro crumbs can make your photo look less professional; unless the crumbs are meant as a part of the pic. Tanya's eagle eyes spotted the crumbs in the pic easily, while I didn't even find a flaw in her pic. This also applies on the props. 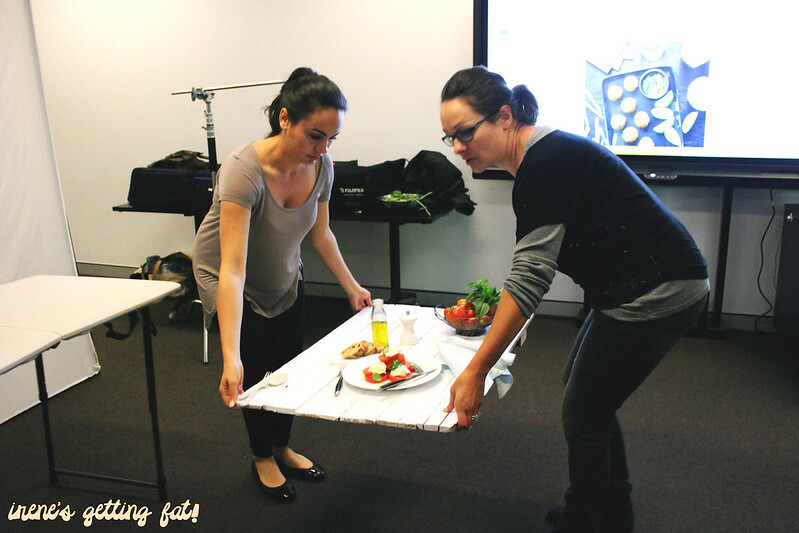 If it's not meant that way, check if the props you are using are symmetrical; Tanya used a 10 cents coin to make the bottle of olive oil look straight on the uneven plank. Pay attention to the ingredients you are playing with. Make sure they're photo-worthy before you put them on the plate. For example, oil can become darker in colour when leave for too long on the plate and leaves can wilt. A tip for wilting greens, you can put them in cold water in a stainless steel bowl and it can freshen them up. Don't take too long in capturing glaze, sauce, or ganache, they can make the cake look soggy. Invest in props and equipments. Buying props do not have to be expensive. You can get unique, antique, and beautiful pieces from a secondhand shops, and you can even spray paint cutlery in colours you need them to be. Reflectors can be a good, cheap investment too; check them out on eBay. The colours of the food and background affect the final shot. On the orange cake shot, they used blue and yellow combi, and the result was very eye-catching due to the colours' compatibility. 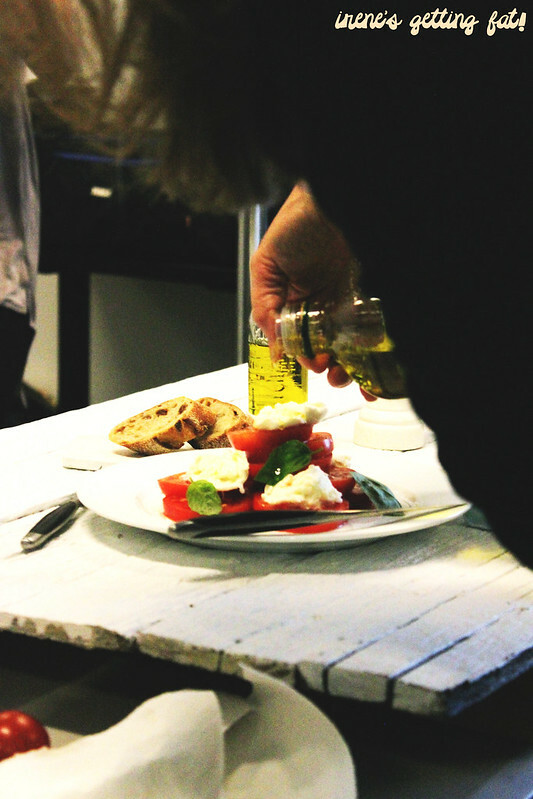 Make sure the props do not overtake the focus of the picture; the hero should be the food. 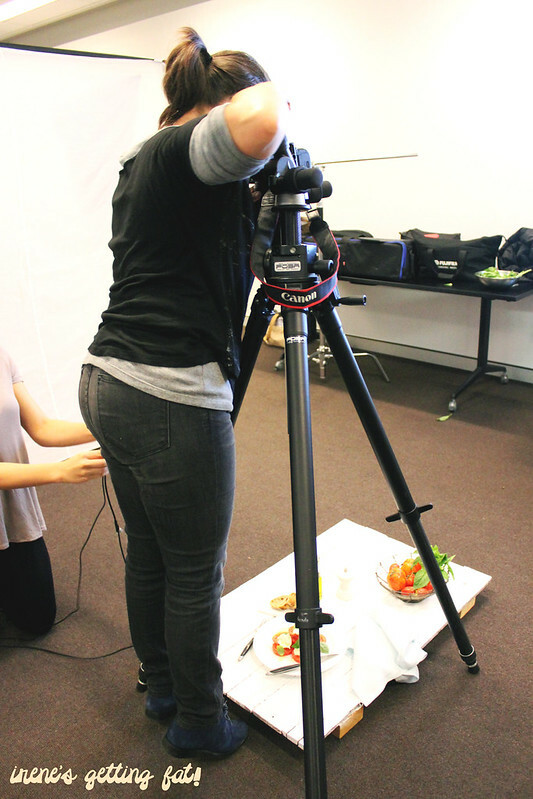 Not every food can be shot on a particular setting. Flatter food would go better with overhead/bird's-eye vies, and taller food fair better with eye-level shot. In most of scenarios, portrait/vertical style in taking photos is better because it provides more depth of field. What a great experience. Thanks heaps for Tanya and Janet for sharing their dos and don'ts, it's awesome to see and learn from the pros. Special thanks to Jieni and Bankstown Council for inviting! the props are so pretty! Super pretty! And the way they're arranged just makes the picture perfect! Exactly. 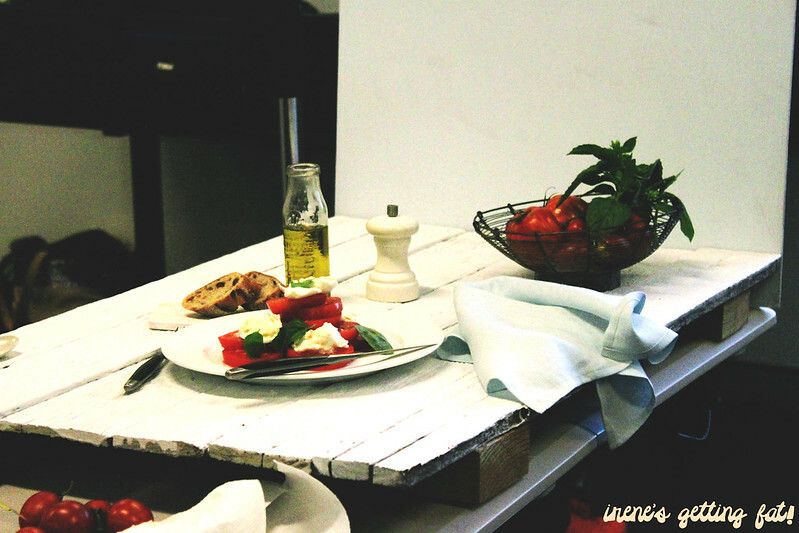 Picture us bringing soft boxes and reflectors to a busy restaurants. LOL. this class looks so cool especially with all that equipment. And Tanya actually said that those weren't all. I bet she has more when it comes to work-purpose photography session! Douglas Gaster @ Controlled Color, Inc.